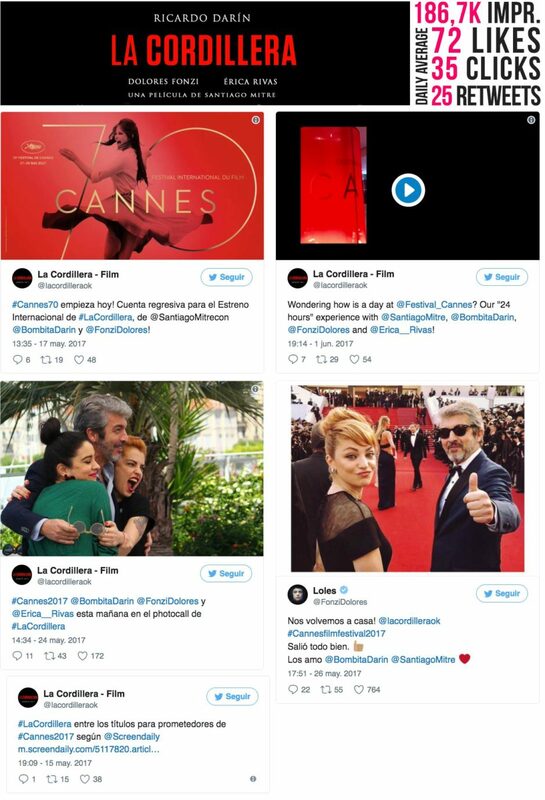 The Film Agency managed the social media campaign of La Cordillera (The Summit), competing at Un Certain Regard in Cannes 2017, working for the Spanish Sales Agent Film Factory and generating impacts for all its co-producers: K&S Argentina, MOD Spain and Maneki Films France. 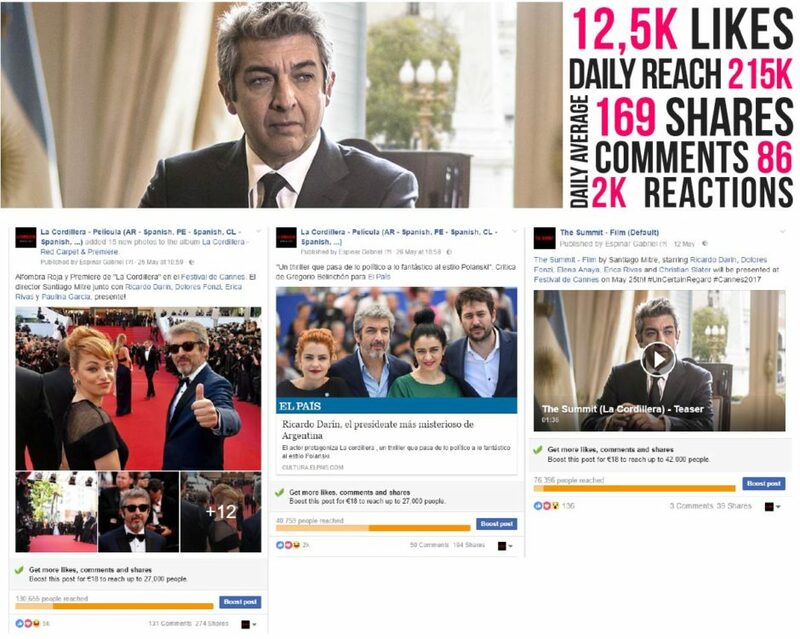 The campaign was dual-managed in English (International) and Spanish (for Spain and Latin America) using Facebook, Twitter and Instagram. Argentina’s foremost actor, Ricardo Darin, plays the president of Argentina in La Cordillera (The Summit), an impressive thriller, directed by Cannes 2015 Critics’ Week winner Santiago Mitre (“Paulina”) which brought together much of the production-sales team behind “Wild Tales” and “The Clan”. At a summit for Latin American presidents in Chile, where the region’s geopolitical strategies and alliances are being discussed, Argentine president Hernán Blanco endures a political and family drama that will force him to face his own demons.